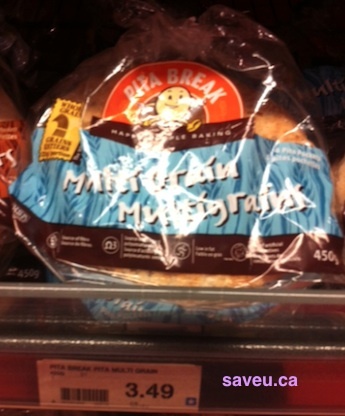 On Checkout 51’s list this week (April 4 – April 10, 2013) is Pita Break pitas, any variety. Excludes OneBun, Crispy Pitas, Lavash Crackers and Just Minis. You will get $1.00 cashback at Checkout 51. Here’s a pic of what it looks like. I found a couple prices of it at a few stores. Sobeys Express (at 530 Yonge Street, Toronto, ON) is closing. There is 30% off everything in the store until April 13, 2013.